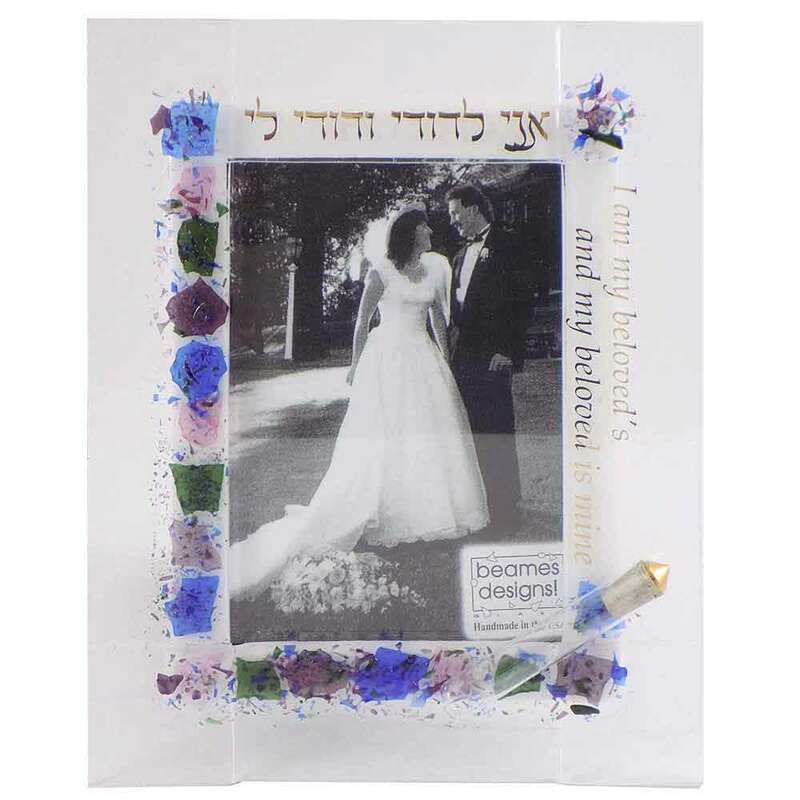 Handcrafted By Sara Beames, This Fused Glass Picture Frame Has The Words "I Am My Beloved's And My Beloved Is Mine" In Gold Type, In Both Hebrew & English. 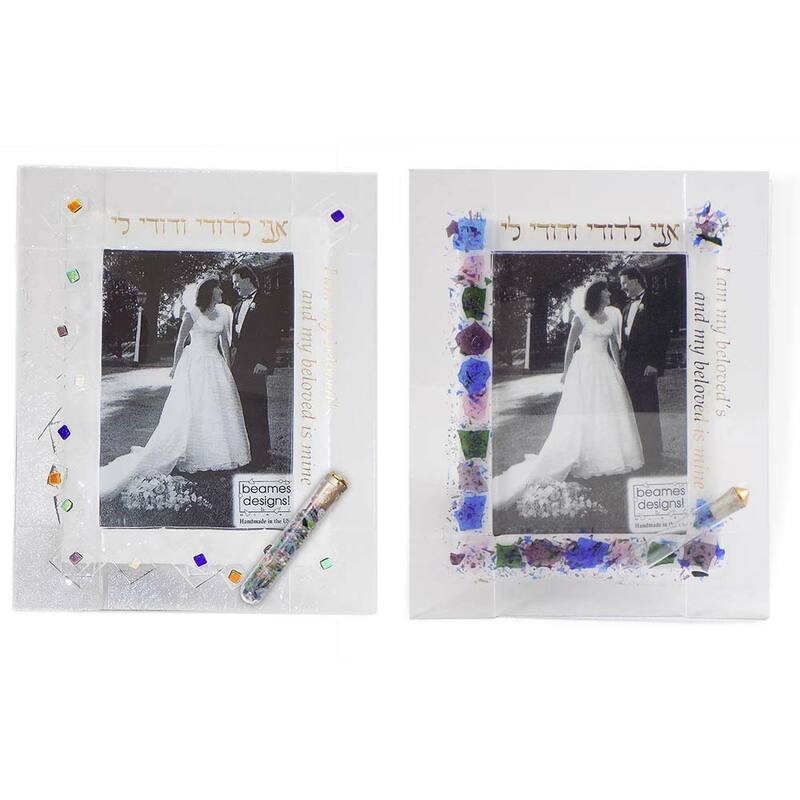 This Wonderful Wedding Frame Has A Clear Tube Attached For The Bride And Groom To Encase Their Crushed Glass From The Wedding. Truly A Treasured Gift! 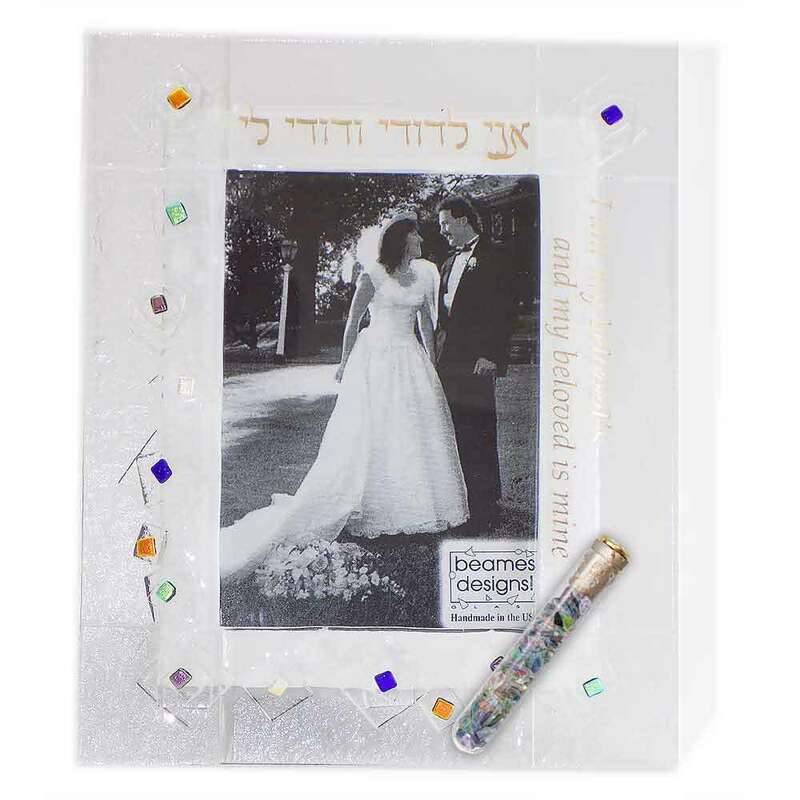 The Frame Holds A 5x7 Picture And Will Sit Vertically Or Horizontally. 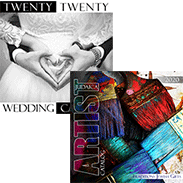 Select From The Geo Design (Pictured Left) Or The Floral Design (Pictured Right). 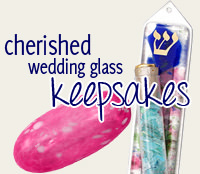 By Adding A Unique Blown Glass For The Groom To Step On, You Create An Especially Unique Wedding Gift.